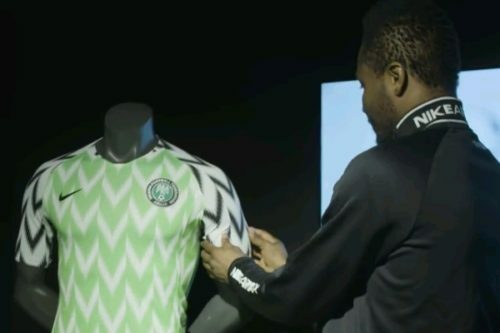 Nike have used their official YouTube channel to do a reveal of the new Nigeria jersey designs for the Super Eagles’ Russia 2018 World Cup campaign. 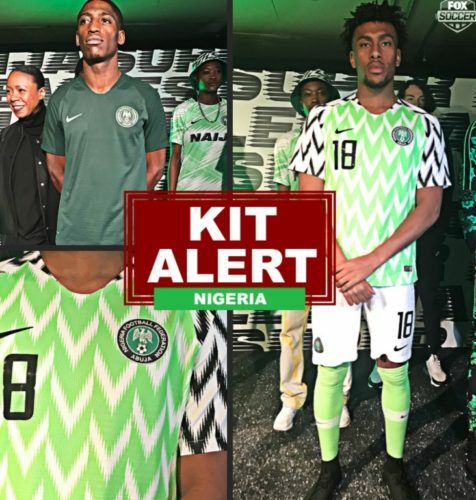 What appears to be the away kit has the shirt in predominantly light green background with bold white V-shaped patterns drawn on it. 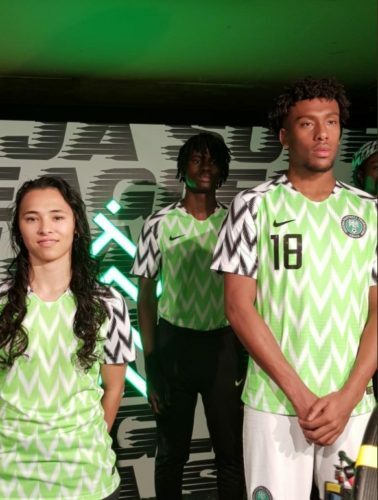 The sleeves are white underneath black patterns. 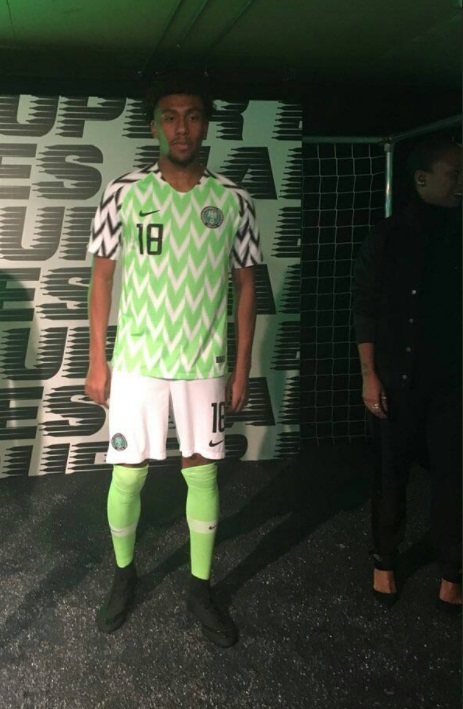 The shorts are plain white. 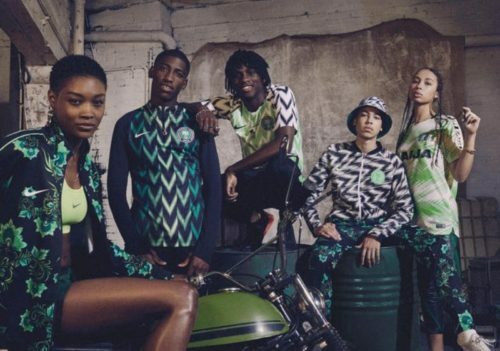 Ndidi also sounded excited, adding “This is cultural” in apparent reference to the patterned away kit. Nike officially unveiled the playing jerseys a ceremony in London. 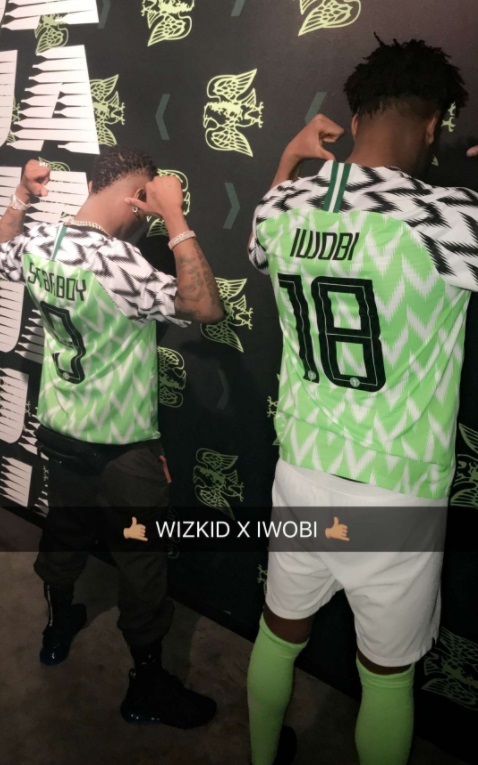 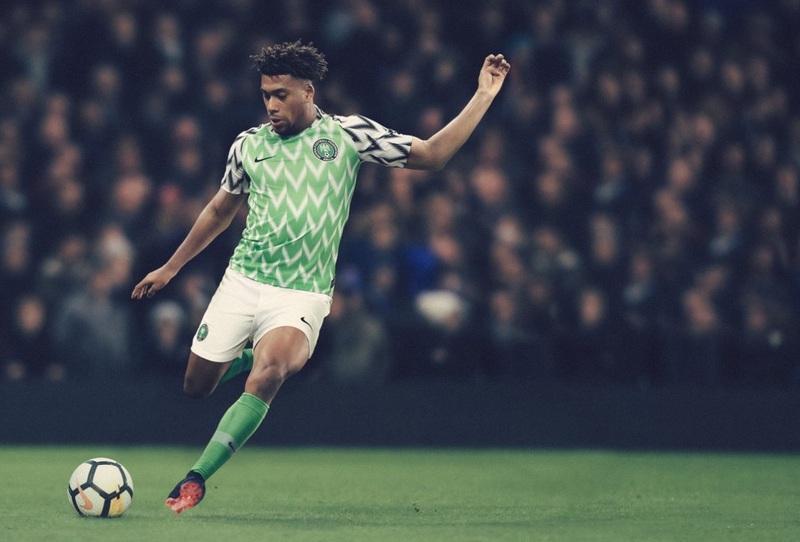 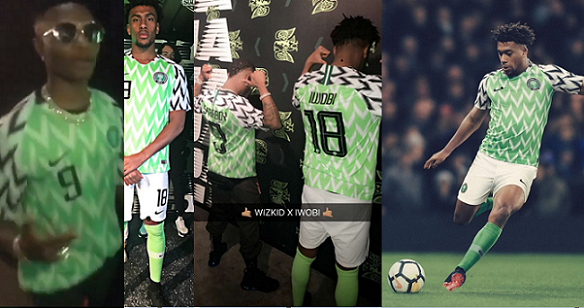 Iwobi as well as Lateef Omodiji and his sister Sophia, who are yet to feature for Nigeria at any age-grade level, were the Nigerian players at the ceremony who modeled in the new Super Eagles jerseys.